The State Department and USAID will invest more than $500 million in Somalia this year. That comes in addition to more than $1 billion in United Nations assistance. Each may hope such funds will restore prosperity and stability to Somalia, but they are wrong. Rather than ensure stability, the State Department’s Somalia strategy wastes taxpayer money and promises an Al Qaeda renaissance in the strategically important Horn of Africa. The basic problem is centralization. By deciding to channel all funds through Mogadishu, Washington and the UN are replicating the Iraq program mistakes that culminated in the UN’s oil-for-food program which to this day remains the largest corruption scandal in UN history. That program started with good intentions: To ensure Iraq used its oil revenue to the benefit of its people. But for both bureaucratic and diplomatic reasons, the UN channeled all money first through Iraqi President Saddam Hussein’s government. The rest is history: The General Accounting Office estimated that Saddam Hussein’s’ regime derived more than $10 billion in illegal revenues, and an independent investigation commissioned by UN Secretary-General Kofi Annan largely affirmed the findings. The program’s origins may have been relief, but Saddam weaponized it. When I first visited Iraqi Kurdistan in 2000, Kurds complained that they lived under double sanctions: First, the international community against Iraq and, second, the Iraqi regime’s against them. Both the UN and US effectively allowed Saddam to feed his allies and starve his opponents. Corruption thrived and, in 2003, war returned. The parallels between Iraq and Somalia are eerie. Both Saddam Hussein and Mohamed Siad Barre seized power in the late 1960s and consolidated iron grips over their countries. Both amassed huge fortunes, and both invaded their neighbors. And, as with Saddam Hussein, Siad Barre’s ambitions drove his country to genocide. While Saddam bombarded Iraq’s northern Kurds. Siad Barre turned MiG fighters against the Isaaqs in the Somaliland region. In 1991, both the Kurds and the Isaaq emerged from their respective killing fields with de facto autonomy and nascent democracy. But even as Kurds and Somalilanders began running their own affairs, UN and US sanctions remained. Symbolic unity required treating Kurds as no different than Saddam’s regime. Today, the same dynamic continues in Somaliland. Visiting diplomats and NGO workers acknowledge that the difference between the Somaliland region and Somalia proper are night and day. Somalia is among the world’s most dangerous countries; Somaliland is among the safest in Africa. Somalia’s president controls a few neighborhoods in Mogadishu and relies on foreign troops to defend even that. Somaliland has managed to secure an area the size of Missouri without foreign aid. In Somalia, an appointed parliament itself elects a president. Somaliland’s last presidential elections were the world’s first secured by biometric iris scans. Alas, the State Department’s antiquated Africa policy and lax Congressional oversight may now enable a perfect storm. Secretary of State Pompeo and USAID administrator Mark Green have doubled down on their predecessors’ policy to channel all money through Mogadishu. While the State Department tells itself it is alleviating suffering and stabilizing the Somali state, it is in reality fueling corruption, enabling Al Qaeda’s expansion, facilitating the ambitions of U.S. adversaries, and undercutting democracy. To channel all aid through Mogadishu, the State Department and USAID apparently believe, both strengthens Somalia’s recovery and reinforces the sanctity of Africa’s borders. The border issue is a red herring. 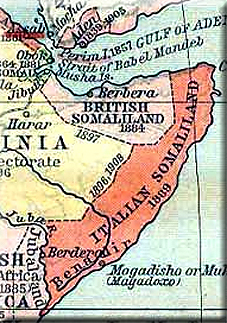 Somaliland’s borders are set by map and treaty. The bigger problem is corruption. Transparency International now ranks Somalia as the world’s most corrupt country: worse than Afghanistan, Iraq, and Venezuela. Rather than build Somalia, flooding Mogadishu with cash fuels corruption that undermines its recovery. Dumping cash on Somalia will no more fuel progress than dumping billions in Iraq and Afghanistan did. Congress should instead demand the US government calibrate assistance to capacity: give aid to functioning systems; deny it to dysfunctional ones. There is greater danger: As Mogadishu hoards aid, regional inequity emboldens Al-Shabaab, al Qaeda’s regional chapter. Somaliland has transparent systems in place. Society is increasingly cashless, as even illiterate shoppers use mobile apps to pay for almost everything. Each transfer generates a receipt and ensures the kind of accountability that the bags of cash in Mogadishu do not. While Al-Shabaab thrives amongst Somali corruption and lawlessness, Somaliland has eradicated the threat. How counterproductive it is then to withdraw assistance from the only region in the Horn of Africa that works. That Somalia pockets US aid but embraces China while Somaliland seeks closer US ties is the icing on the cake. Winston Churchill supposedly said “Americans always do the right thing; they just try everything else first.” That may eventually become true in the Horn of Africa too, but unless Congress starts asking some hard questions about how US money is spent Somalia, taxpayers will be bilked and national security imperiled. *Michael Rubin is a resident scholar at the American Enterprise Institute. A former Pentagon official, he teaches classes on terrorism for the FBI and on security, politics, religion and history for U.S. and NATO military units. He has a Ph.D. in history from Yale University.